My sister had a sudden strike of inspiration and informed me she was making "a surprise" for Easter dinner. She looked a little glum when she showed up with this. 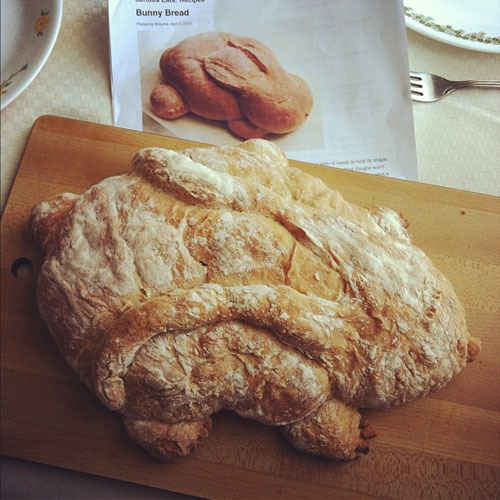 It was supposed to be this bunny bread but she got held up at the tire shop and it rose too long. She thought it looked more like roadkill but I think it still definitely looks like a bunny and it tasted good!